The advantage of hotel is its location in a peaceful part of the city. In terms of walks you will surely appreciate the position of the hotel situated only 200 m far from the centre of the city, and so everything you might need is within the reach. At the angelo Hotel Pilsen, managed by Vienna International Hotels and Resorts, the third of its kind after Prague and Munich, everything is just right: a walk in the Old Town, the famous brewery directly opposite, all the main streets nearby, and the central railway station just around the corner. The Courtyard by Marriott Pilsen is set in Pilsen's legendary historic district, where magnificent Gothic, Renaissance and Baroque architecture reflect the city's storied past. 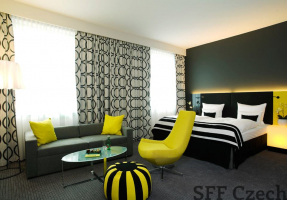 First Class Courtyard by Marriott hotel in Pilsen city center near to all main Pilsen attractions. The hotel, situated in the neighbourhood of a university faculty hospital near the centre, is in the nice quiet setting of what was a family mansion built in 1870. It has a garden restaurant and a guarded parking lot. 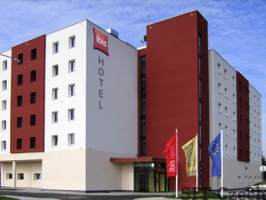 The 3 stars hotel Ibis Plzen is located in a quiet part of the important commercial zone Borska Pole, close to the University. 130 comfortable, new generation Ibis rooms are equipped with WiFi, flat-screen TV with plug and play and working desk, and ensure comfort for both - business or leisure travellers.